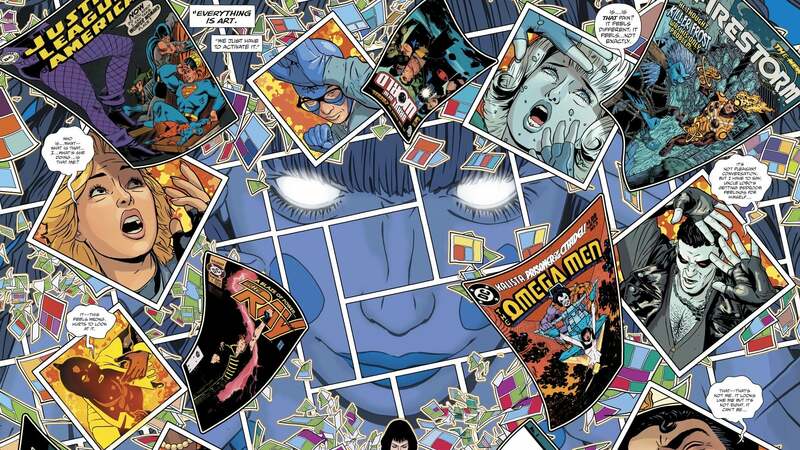 Comic book events have the unenviable task of proving to readers that their story is fresh (but familiar), big (but intimate), and important (but not taking itself too seriously) all at once. "Milk Wars", the bizarre battle at the heart of the Justice League of America and Doom Patrol's new crossover, does all that and then some. Just because JLA/Doom Patrol Special #1 sets up a fairly straightforward story doesn't mean that "Milk Wars" is at all the kind of tale you would expect DC to put out, even when tied to its more experimental Young Animal imprint. But the best way to wrap your mind around co-writers Steve Orlando and Gerard Way's event is to just stop and drink in Milkman Man, the jovial terror at the story's centre. Every day in the sleepy town of Happy Haven, Rhode Island, a tall, strapping milkman who always has a smile on his face strides from door to door, delivering bottles of farm-fresh milk for thirsty customers to guzzle with glee. All is well in Happy Haven because the city has been transformed into a blindingly sanitised American suburb that would put Stepford to shame. Like Milkman Man's milk, Happy Haven is a product — a reality manipulated and packaged for sale by Retconn, an inter-dimensional organisation that sells stylised microcosms of the multiverse to whoever has enough cash. What's terrifying is that Retconn doesn't build places like Happy Haven from scratch. Instead, the company takes preexisting realities and reshapes them and their inhabitants to best suit the client's desires and the secret to holding everything together is the milk. The mind-controlling milk Milkman Man is all to happy to supply everyone with. To the residents of Happy Haven, all is right in the world, but the moment the Doom Patrol crash-lands into the Retconn-branded reality, the motley crew of heroic misfits realise just how eerie and off everything is. Citizens respond to them with hostility — and when the Doom Patrol inquires about a monstrous, alien-looking beast with udders that might be the source of the milk, the Community League of Rhode Island shows up on the scene to maintain the peace. But they aren't just the Community League of Rhode Island, they're members of the Justice League, because the version of Earth that the Doom Patrol have stumbled into is the very same one that most of DC's other comic books are set in. 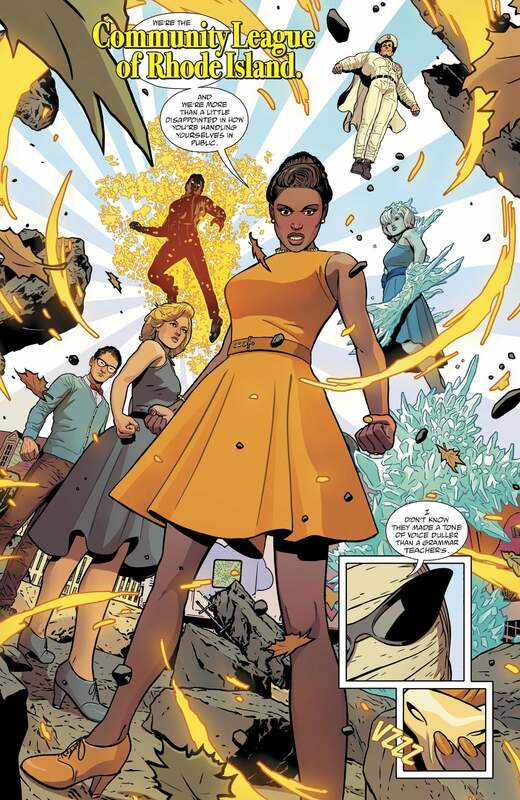 Vixen, Black Canary, Killer Frost, and the like are reimagined as a squad of stylish (if conservatively dressed) Productive Members of Society™ who waste no time in using their outsized superpowers to try and drive the Doom Patrol away. At first, the concept seems delightfully silly and bordering on the absurd, until you reflect on the way that characters like these were thought of during the early 20th century. Under the restriction of the Comics Code Authority, characters like Community League of Rhode Island were the heroes who saved the world, a place that was much more like Happy Haven. In poking fun at that kind of '50s, Leave It To Beaver-esque idea of wholesomeness, "Milk Wars" is also commenting on the inherent silliness of the Silver Age of Comics and just how much the medium has changed as it's kept pace with prevailing cultural sensibilities. "Milk Wars" moves — which is to say that the action and movement on the page feels dynamic and thrilling — thanks to artist ACO's dizzying illustrations that grate against the old-fashioned setting the event takes place in. We've all seen the Justice League locked in epic fights against a rival team, but there's something utterly delightful about seeing them done up as sanitised caricatures of the Greatest Generation as they brawl. That dissonance is really one of the more important elements of the story that "Milk Wars" is trying to tell, because it makes you contemplate the fact that, as different as the Doom Patrol and the Community League of Rhode Island are, they're both representations of American ideas about heroism. Retconn is able to mould realities by using information distilled from the autopsy of Ahl, the late god of superheroes — the embodiment of all the ideas we use superheroes and comic books to convey. 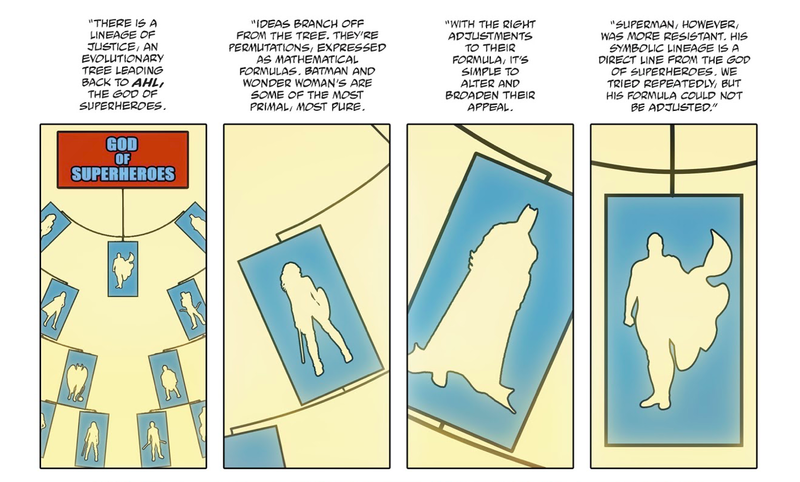 There's a loftiness to some of the concepts at work in "Milk Wars" that might take you by surprise, but it's a solid indication that the rest of the event (which will take place in a series of future DC/Young Animal one-shot crossovers) is heading into an interesting space. There's a good chance that by the time the event's over and done, the universe will be put right back as it was and everyone will go about their regular lives (as is the case with all comic events). But at the very least, you'll have had a blast following them along their journey back to normality.